Buses are great for business and the environment, they help take more cars off the road, the provide cheap affordable transport for low income families and they help move large groups of people, from commercial transportation companies, to touring artists, to individual churches or retirement homes. If you own a small business, or are even just looking for a bus for personal use (such as to convert into an RV), you should consider buying used. 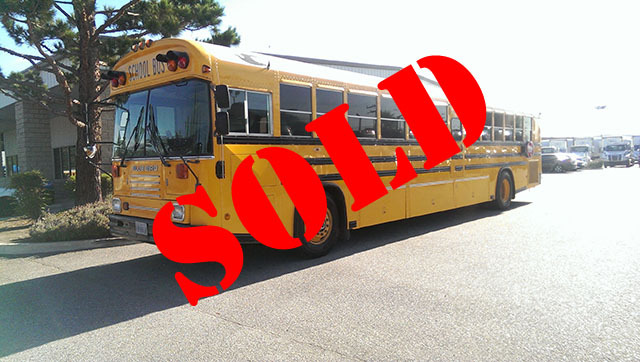 Used buses are typically the best option if you are only buying one or two used vehicles. As long as you do your research on any used bus you find interesting, and you know exactly what you're getting, buying a used bus can save you a lot of money. Make sure that you do your research and you're buying your used bus from a reputable dealer, i.e. us :) This will minimize the hassle that can rear its head later when it's time to do scheduled maintenance or in the event of a break down. Determine what you'll be using your bus for. Ask yourself a few questions about what your needs are before you buy a bus. How many people are you planning to transport? How often? How far are you planning to travel? By determining what you need your used bus to accomplish ahead of time, you'll be able to rule out those that don't meet your requirements quickly and efficiently. Don't jump at the first cheap bus you find or the first deal that looks good. Budget what it will cost to purchase and maintain the bus. 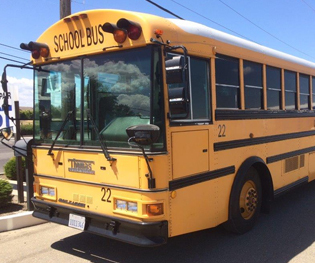 You should realize that buying your used bus is only the beginning when it comes to expenses. You'll need to budget for expected costs, like , licensing fees, insurance and scheduled maintenance. But you'll also need to set aside a contingency plan for any unforeseen breakdowns or necessary repairs. Find a repair shop that can get you replacement parts. Aged equipment often needs a more regimented maintainance schedule to keep the bus running efficiently and effectively. Buying a bus from us, you become part of our family, the VVG family. Velocity Vehicle Group operates 11 full service and parts locations throughout California & Nevada. Our dealerships not only provide the highest standard of service and repair for buses, rvs, motorhomes, custom chassis', trucks and passenger vans, as part of the VVG network we stock parts for just about every single engine and bus on the market, old and new. We have the parts and we can do the service, all at a discounted rate, since you're part of the family when you buy a bus from us. Once you find a bus you like, there are some specific things you need to look for before you commit to making a purchase. Get the biggest engine you can afford. The more people you're transporting and the heavier your bus, the more you'll need-and there's no substitute for a powerful engine. Get an automatic transmission unless you have a personal preference. They're usually easier to handle and on long trips as they can make the drive less of a hassle. Additionally, if you're planning to try to resell your used bus when you're done with it, you should realize that most people are more inclined to buy an automatic than a manual transmission. Automatic transmissions are much easier to sell. Don't settle for a used bus that has any leaks whatsoever. A leaky transmission or braking system can be extremely costly and time consuming to try to repair. Don't buy a used bus that already has problems. There are plenty of leak-free options out there, just keep looking. If you're thinking about a church bus or a vehicle that may be required to transport the elderly or infirm, then you may need a bus that has a wheel chair lift, with space to tiedown wheelchairs... we typically stock a mix of paratransit buses, with a variety of seating arrangements to maximize your passenger capacity, whilst providing a safe and comfortable ride for all your passengers. Buses are built around a range of applications, some used buses may be best suited to shorter runs back and forth over a small area, others are designed for a life on the road (like those big coaches you see zooming along the freeways). A good indicator of the condition of a used bus is comparing its model year against its mileage. A older bus with a large mileage is expected, (and common, they don't built them like they used to), be wary if you come across a bus thats pretty new with a very high milage, typically the bus has been run hard and may be in need of some maintaince.... speak to our sales reps about any of our buses and they can explain its history and what you can expect from any of our used buses. Title, service records, receipt records and history-these can all help you determine the value of the vehicle and avoid potential problems in the future. Your used bus must have a verifiable title with the year of original purchase. If your used bus has been in fleet use, it has a service record, so make sure you see it. If the used bus has been serviced or repaired a few times, no problem-that's probably good-but if it has had the same repairs done 4 times in the past 2 years, something could be seriously wrong. A used bus's paper trail is important. If you can't verify something about the bus you should be suspicious. Also, make sure that the receipts and records you're looking at have your used bus's VIN on them. If they don't, you can't verify that those receipts are for the used bus you are considering. After you've narrowed your used buses for sale search down with the criteria above, you should hire a professional to come out and thoroughly inspect your used bus before you buy it. The inspector should focus on all of the bus's major parts including the engine, transmission, frame, electrical system and air conditioning. Make sure that you inspector is as thorough as possible and gives you the full story. And make sure to believe him (and follow his advice) when he tells you about potential problems and concerns, that's why you hired him. If your buying a bus that needs repairs, get an accurate estimate of costs. If you're planning to modify your bus, or you don't mind taking on some of the repair work (either yourself or with the help of a repair shop), no problem! Just ensure that you get an accurate idea of both what the repairs will cost and the time it will take to complete them. This will include time to track down parts, which, as discussed above, should be readily available. Make sure to actually create a plan for completion as well, don't just discuss costs and time in a theoretical manner; put your plan and timeline down on paper, and stick to it! Now it's time to buy your used bus! 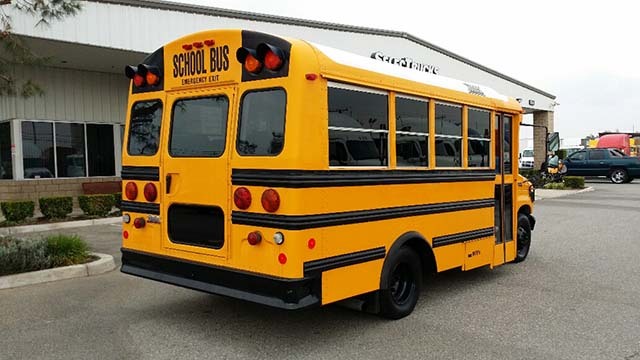 Once you've determined which used bus fits your needs and you've gone through all the steps to make sure that the particular used bus you're considering is mechanically sound, check out our used bus inventory online, or call one of our experts today to schedule an appointment (or stop by our Carson or Fontana location to view inventory). We look forward to helping you move people.